AP’s Konrad Buhagiar will participate in Breaking New Ground: Debate about European Architecture at the 25th Anniversary Celebration & Award Ceremony for the European Union Prize for Contemporary Architecture, Mies van der Rohe Award, on Friday 7th June in Barcelona. Over 25 years, the Prize has been selecting a repertoire of more than 2,500 buildings all around Europe, which represent the richness and evolution of national architectures. This embodies the overview of European architecture evolution and raises the question about what the next 25 years of European architecture will be like and therefore the meaning of the Mies van der Rohe Prize. This event wants to be an encounter that will bring together the experience of those professionals that have defined the 25 years of the Prize and those architects and critics that have an important role in today’s cultural field. 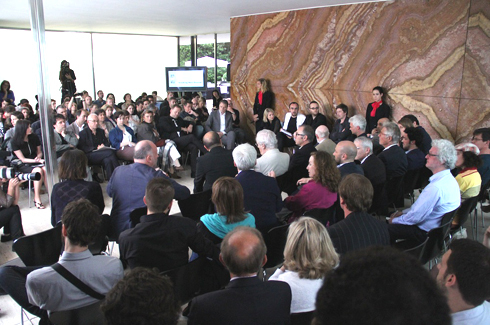 The aim of the debate is to represent a crisscross between all the winner architects that have influenced the last decades and those professionals that can influence the next decades of architecture.